Breastfeeding is the only and best food for newborns up to 2 years of age. This is part of the World Health Organization goals. When you are a newly mother and you started to breastfeed your baby, you can also have the chance to know if the weight of your baby is normal or not. You can also see Baby Weight Charts. 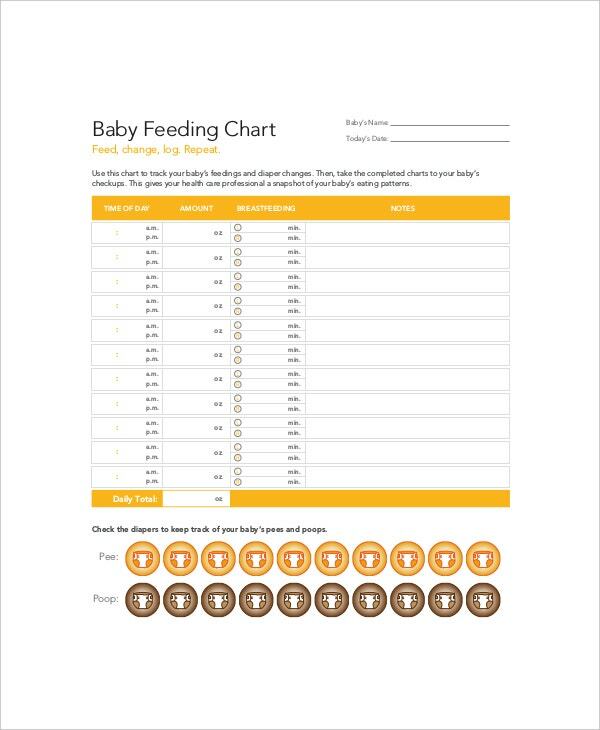 You just need to download the Chart Templates found online named as Breastfed Baby Weight Chart. You will see the difference between lactating mothers and non lactating mothers to their infants by showing the weight of the babies that they must get and recommended for their age. There are factors affecting the growth weight of an infant and for parents like you, you need to know it. It will be now easy for you to understand the growth of your child by Baby Weight Growth Chart. Even doctors use it to explain to the parents after assessing their babies. There are different digits for weights when talking about an infant. Under the guidelines of World Health Organization, the weight of a newborn depends on the feeding amount and age. Using a Newborn Baby Weight Chart, it helps the doctors and parents to measure the baby and compare it to know if normal or needs to become ideal. You can also see Baby Weight Charts by Month. In preparation for parenthood, it becomes helpful for couples to have a chart and used it as the baby comes out already. A Baby Feeding Chart by Weight is a simple tool to utilize and it’s available online so that parents would know the amount of feeding that a baby can have based on their age and weight. 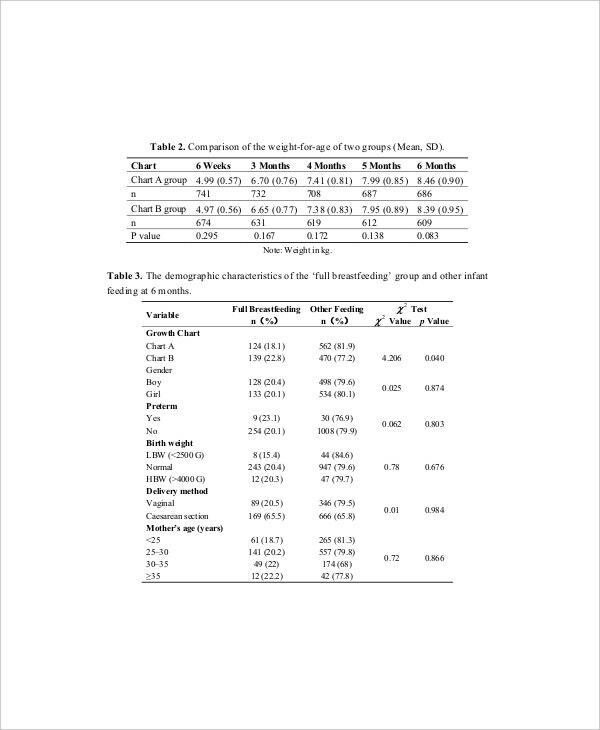 When a premature baby gains weight, number one that becomes happy is the parents; the template via online helps the parents now to plot the weight of their baby and compare it with the standard values of weight stated by World Health Organization. You can search for Premature Baby Weight Gain Chart and see for factual details. You can also see Newborn Baby Growth Chart Templates. Weight is a determining factor to a baby’s health especially when it comes to the amount of milk that they must get in a day. This chart will tabulate the figures and where does your baby falls on to these figures to tell how much milk is required for them. It prevents from feeding the child to much causing serious complications. The right amount of feeding is seen as part of baby weight chart. You can also see Baby Boy Growth Chart Templates. A Breastfed Baby Weight Chart is designed to help parents understand how the weight of their baby is affected by breastfeeding. Doctors use this kind of baby chart in giving health teachings and in assessing the growth of the baby. Since this is out and available in the website. Anyone can have it for free and assist them in caring their child. The breastfed baby weight chart is helpful for all mothers and health care providers. You can also see Baby Weight Gain Charts. Breast fed baby weight chart can be seen in some medical books and trusted websites that shows the possible weight gained by breast fed babies. This can be your guide to start working on your own chart. You can also see Baby Height Weight Charts. A Breastfed Baby Weight Chart seen in the website is under the supervision of the World Health Organization. You can also see Baby Weight Growth Charts. There are free samples and examples to select in the template for baby weight chart via online. You can be at ease in downloading the sample and have it print for your own needs. The chart is made so that even at home you can still monitor your baby’s weight because you have a guide already.